Dejan Bogdanović is partner at Mikijelj Janković & Bogdanović, where he is responsible for managing the firm’s portfolio of IP clients. 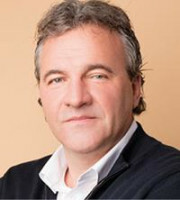 He is a highly respected IP litigator and was involved in a number of landmark cases before the Serbian courts, including the successful defence of Nestlé red mug trademarks against influential local coffee producers, disputes concerning conflict between plant variety rights and trademark rights, and the enforcement of rights of well-known marks in Serbia. Mr Bogdanović advises clients on relevant legislation and practice and assists them with IP matters before the competent authorities. He has developed extensive experience in IP law since 1993, when he was admitted to the Serbian Bar Association. In the same year, he qualified as a patent and trademark agent before the Serbian Intellectual Property Office. Mr Bogdanović is the president of the Serbian national group of the International Association for the Protection of Intellectual Property, a member of the Disciplinary Committee of the Institute of Professional Representatives before the European Patent Office and a member of the Serbian Intellectual Property Office committee which examines IP agents. Mr Bogdanović is also a European patent attorney and member of the Belgrade Bar Association. He is ranked as a leading individual in Chambers and Partners and Legal 500 editorials.